Bruce Wayne Miller, D.C., is a chiropractor located in Tampa, FL. Techniques: • Diversified Take the next step and contact Dr. Bruce Wayne Miller, D.C., for a consultation in Tampa, FL or to get more information. Patricia Ribley, D.C., is a chiropractor located in Tampa, FL. Techniques: • Cranial • CranioSacral Therapy • Manual Adjusting • Pierce • Thompson • Upper Cervical • Sense Technology Instrument • SOT Take the next step and contact Dr. Patricia Ribley, D.C., for a consultation in Tampa, FL or to get more information. Albert E Warner III, D.C.
Albert E Warner III, D.C., is a chiropractor located in Tampa, FL. Techniques: • Diversified • Thompson • Pierce Take the next step and contact Dr. Albert E Warner III, D.C., for a consultation in Tampa, FL or to get more information. Omar Inaty, D.C., is a chiropractor located in Tampa, FL. Techniques: • Diversified Take the next step and contact Dr. Omar Inaty, D.C., for a consultation in Tampa, FL or to get more information. John I Campo, D.C., is a chiropractor located in Tampa, FL. Take the next step and contact Dr. John I Campo, D.C., for a consultation in Tampa, FL or to get more information. 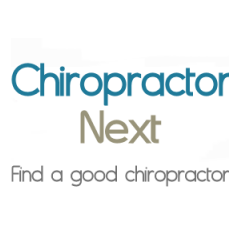 Neal C Sayers, D.C., is a chiropractor located in Tampa, FL. Techniques: • Flexion-Distraction • Activator Methods • Diversified • Gonstead Take the next step and contact Dr. Neal C Sayers, D.C., for a consultation in Tampa, FL or to get more information. Terry Arrias, D.C., is a chiropractor located in Tampa, FL. Techniques: • Diversified Take the next step and contact Dr. Terry Arrias, D.C., for a consultation in Tampa, FL or to get more information. Byron E Clark, D.C., is a chiropractor located in Tampa, FL. Techniques: • Diversified Take the next step and contact Dr. Byron E Clark, D.C., for a consultation in Tampa, FL or to get more information. Michael Capria, D.C., is a chiropractor located in Tampa, FL. Techniques: • Diversified • Activator Methods • Sacro Occipital Technique Take the next step and contact Dr. Michael Capria, D.C., for a consultation in Tampa, FL or to get more information. Mylisa L. Epps, D.C., is a chiropractor located in Tampa, FL. Techniques: • Activator Methods • Diversified • Sacro Occipital Technique • Thompson Take the next step and contact Dr. Mylisa L. Epps, D.C., for a consultation in Tampa, FL or to get more information. Clara S Creighton, D.C., is a chiropractor located in Tampa, FL. Take the next step and contact Dr. Clara S Creighton, D.C., for a consultation in Tampa, FL or to get more information. Craig McKee, D.C., is a chiropractor located in Tampa, FL. Techniques: • Diversified • Thompson Take the next step and contact Dr. Craig McKee, D.C., for a consultation in Tampa, FL or to get more information. Harsha Mehta, D.C., is a chiropractor located in Tampa, FL. Take the next step and contact Dr. Harsha Mehta, D.C., for a consultation in Tampa, FL or to get more information. John Parker, D.C., is a chiropractor located in Tampa, FL. Techniques: • Manual Adjusting • Interactive Metronome • Brain-Based Therapy (BBT) Take the next step and contact Dr. John Parker, D.C., for a consultation in Tampa, FL or to get more information. George D Hancock, D.C., is a chiropractor located in Tampa, FL. Techniques: • Applied Kinesiology • Sacro Occipital Technique • Activator Methods Take the next step and contact Dr. George D Hancock, D.C., for a consultation in Tampa, FL or to get more information. Chris Crawford, D.C., is a chiropractor located in Tampa, FL. Take the next step and contact Dr. Chris Crawford, D.C., for a consultation in Tampa, FL or to get more information. David B Phelps, D.C., is a chiropractor located in Tampa, FL. Techniques: • Manual Adjusting Take the next step and contact Dr. David B Phelps, D.C., for a consultation in Tampa, FL or to get more information. Paul K Christian, D.C., is a chiropractor located in Tampa, FL. Take the next step and contact Dr. Paul K Christian, D.C., for a consultation in Tampa, FL or to get more information. Stephen Hess, D.C., is a chiropractor located in Tampa, FL. Take the next step and contact Dr. Stephen Hess, D.C., for a consultation in Tampa, FL or to get more information. Karen Wolstein, D.C., is a chiropractor located in Tampa, FL. Take the next step and contact Dr. Karen Wolstein, D.C., for a consultation in Tampa, FL or to get more information. Terri L Finch, D.C., is a chiropractor located in Tampa, FL. Techniques: • Gonstead • Cox • Flexion-Distraction • Sacro Occipital Technique Take the next step and contact Dr. Terri L Finch, D.C., for a consultation in Tampa, FL or to get more information. Karen Poritz, D.C., is a chiropractor located in Tampa, FL. Take the next step and contact Dr. Karen Poritz, D.C., for a consultation in Tampa, FL or to get more information. Doug Arvanitis, D.C., is a chiropractor located in Tampa, FL. Take the next step and contact Dr. Doug Arvanitis, D.C., for a consultation in Tampa, FL or to get more information. Robert Nielsen, D.C., is a chiropractor located in Tampa, FL. Take the next step and contact Dr. Robert Nielsen, D.C., for a consultation in Tampa, FL or to get more information. Michael B Lee, D.C., is a chiropractor located in Tampa, FL. Techniques: • Grostic • Thompson • Ungerank Technique Take the next step and contact Dr. Michael B Lee, D.C., for a consultation in Tampa, FL or to get more information. Susan Welsh, D.C., is a chiropractor located in Tampa, FL. Techniques: • Gonstead • Cox Take the next step and contact Dr. Susan Welsh, D.C., for a consultation in Tampa, FL or to get more information. Brian Caez, D.C., is a chiropractor located in Tampa, FL. Techniques: • Diversified • Active Release Technique • Thompson • Manual Adjusting • Extremity Adjusting Take the next step and contact Dr. Brian Caez, D.C., for a consultation in Tampa, FL or to get more information. Wallace C Wade, D.C., is a chiropractor located in Tampa, FL. Techniques: • Diversified • Cox Take the next step and contact Dr. Wallace C Wade, D.C., for a consultation in Tampa, FL or to get more information. Robert J Rodriguez, D.C., is a chiropractor located in Tampa, FL. Techniques: • Diversified • Nimmo • Activator Methods Take the next step and contact Dr. Robert J Rodriguez, D.C., for a consultation in Tampa, FL or to get more information. Lisa N Schuenemann, D.C., is a chiropractor located in Tampa, FL. Techniques: • Thompson • Pierce • Toggle Recoil Take the next step and contact Dr. Lisa N Schuenemann, D.C., for a consultation in Tampa, FL or to get more information. Gary D Jones, D.C., is a chiropractor located in Tampa, FL. Take the next step and contact Dr. Gary D Jones, D.C., for a consultation in Tampa, FL or to get more information. Richard Jachimek, D.C., is a chiropractor located in Tampa, FL. Take the next step and contact Dr. Richard Jachimek, D.C., for a consultation in Tampa, FL or to get more information. Rick Galloway, D.C., is a chiropractor located in Tampa, FL. Techniques: • Active Release Technique • Cervical Drop Headpiece • Cox • Diversified • Flexion-Distraction • Neuro Muscular Technique • Palmer Package • Thompson • Toggle Recoil • Traction • Trigger Point Therapy Take the next step and contact Dr.
chris r williams, D.C., is a chiropractor located in Tampa, FL. Techniques: • Diversified • Palmer Package • Soft Tissue Orthopedics • Active Release Technique • Thompson • Manual Adjusting Take the next step and contact Dr. chris r williams, D.C., for a consultation in Tampa, FL or to get more information. Christopher P DeMaria, D.C., is a chiropractor located in Tampa, FL. Take the next step and contact Dr. Christopher P DeMaria, D.C., for a consultation in Tampa, FL or to get more information. Marty Willmitch, D.C., is a chiropractor located in Tampa, FL. Take the next step and contact Dr. Marty Willmitch, D.C., for a consultation in Tampa, FL or to get more information. Albert E Cutler, D.C., is a chiropractor located in Tampa, FL. Techniques: • Palmer Package Take the next step and contact Dr. Albert E Cutler, D.C., for a consultation in Tampa, FL or to get more information. William Horowitz, D.C., is a chiropractor located in Tampa, FL. Techniques: • Gonstead • Neuro Muscular Technique Take the next step and contact Dr. William Horowitz, D.C., for a consultation in Tampa, FL or to get more information. Cathy Lupo, D.C., is a chiropractor located in Tampa, FL. Take the next step and contact Dr. Cathy Lupo, D.C., for a consultation in Tampa, FL or to get more information. Barry Shapiro, D.C., is a chiropractor located in Tampa, FL. Techniques: • Diversified • Cox Take the next step and contact Dr. Barry Shapiro, D.C., for a consultation in Tampa, FL or to get more information. John W. Martin, Jr., D.C.
John W. Martin, Jr., D.C., is a chiropractor located in Tampa, FL. Techniques: • Applied Kinesiology • Nimmo • Cox • Thompson • Diversified • Nutrition • Veterinary Orthopedic Manipulation Take the next step and contact Dr. John W. Martin, Jr., D.C., for a consultation in Tampa, FL or to get more information. Doran R D'Orazio, D.C., is a chiropractor located in Tampa, FL. Take the next step and contact Dr. Doran R D'Orazio, D.C., for a consultation in Tampa, FL or to get more information. Tan T Tran, D.C., is a chiropractor located in Tampa, FL. Techniques: • Diversified • Upper Cervical • Thompson • Activator Methods • Gonstead Take the next step and contact Dr. Tan T Tran, D.C., for a consultation in Tampa, FL or to get more information. William P Roberts, D.C., is a chiropractor located in Tampa, FL. Techniques: • Palmer Package Take the next step and contact Dr. William P Roberts, D.C., for a consultation in Tampa, FL or to get more information. Gregory Castleman, D.C., is a chiropractor located in Tampa, FL. Take the next step and contact Dr. Gregory Castleman, D.C., for a consultation in Tampa, FL or to get more information. Jason Cherry Dr, D.C., is a chiropractor located in Tampa, FL. Techniques: • wellness Take the next step and contact Dr. Jason Cherry Dr, D.C., for a consultation in Tampa, FL or to get more information. Clark Walters, D.C., is a chiropractor located in Tampa, FL. Take the next step and contact Dr. Clark Walters, D.C., for a consultation in Tampa, FL or to get more information. Edward J Leonard, D.C., is a chiropractor located in Tampa, FL. Techniques: • Palmer Package • Diversified • Gonstead • Thompson • Toggle Recoil • Activator Methods Take the next step and contact Dr. Edward J Leonard, D.C., for a consultation in Tampa, FL or to get more information.